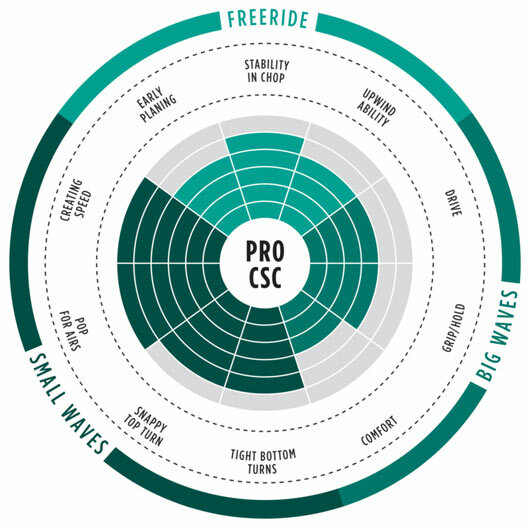 The Pro CSC is a completely new shape 2017 in Light Team Construction, best suited to wave riding in small to medium waves and strapless freestyle. The new construction is lighter, yet stronger and helps you to keep the board airborne and on your feet when riding strapless. 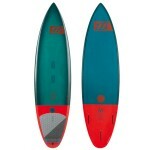 CSC shape is teamed with perfectly balanced volume and the all new Polyester Pro Fins for snappy turns. The scooped out area underfoot and a lower centre of gravity in combination with the ultra thin new Traction Pad Pro increases grip and control. 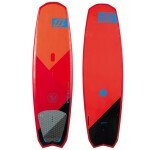 Great for strapless freestyle it can also handle a huge range of conditions. The Pro CSC is your golden ticket to progression. Pro CSC 2017 is a fantastic kitesurf board that will put a smile on your face!